Spring is here, and we’re waiting for the sakura (cherry blossoms) to bloom. Ohanami is the Japanese tradition of viewing and cherishing the sakura with friends and families, but without sake, an integral part of the tradition, ohanami wouldn’t be as enjoyable. At SAKAYA, we have the perfect sake for all occasions. Pick up some nihonshu for your ohanami or for whatever your Spring celebration. To introduce you to some options to choose from, herewith is our April in-store tastings schedule…. The popular culinary manga series, Oishinbo has finally been translated into English. The Oishinbo series began in 1983 during the gourmet boom in Japan’s Bubble Era and continues to this day. Oishinbo #102 was published in June, 2008. It’s popularity has been so widespread that it became an animated television show from 1988 to 1992, a TV drama from 1994 to 1999, and a movie in 1996. The story takes place at the fictional Tozai Newspaper company in Tokyo. To commemorate its 100-year anniversary, the newspaper assigns two young reporters, Shiro Yamaoka and Yuko Kurita, the project of creating the “Ultimate Menu.” The competing newspaper establishes a collaboration with renowned ceramic artist and Gourmet Club President Yuzan Kaibara, to produce a “Supreme Menu.” Adding an element of complexity is the fact that Kaibara is the estranged father of Yamaoka. Their strained relationship further heightens the tension of the competition. Each episode focuses on how Yamaoka and Kurita tackle the problems facing them as they search for the best ingredients, cuisine, or drinks to create the Ultimate Menu. 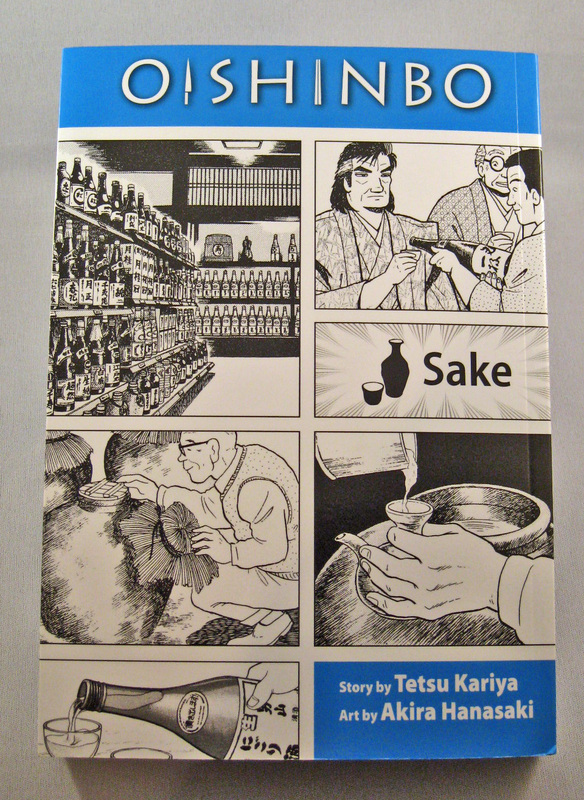 This first English translation distills the 102 volumes down to thematic “a la carte” episodes focused on specific alcoholic beverages (sake) i.e. champagne, wine, aged awamori, and nihonshu. This Oishinbo: Sake is the second installment of the Oishinbo series published in the U.S. The first focused on Japanese cuisine. A third offering on Ramen and Gyoza will be available in May. We highly recommend reading all of them but for sake enthusiasts, Oishinbo: Sake is particularly interesting and thought-provoking. And, by the way, several of the sake featured can be found at SAKAYA! Hint: see the “Featured Sake” on our website. You are currently browsing the Sakaya NYC Blog weblog archives for April, 2009.